Cigars and golf go together like peanut butter and jelly. There’s no refuting that a golf course is the perfect place to puff on a really good cigar. There are tons of selections available but not all suit the conditions of the course. To help you narrow your options, a good golf cigar also should be easy to light and burn evenly for several holes. I prefer cigars that are mild to medium-bodied and that require less energy to draw. Price should also be considered since you will probably smoke at least 3 on the course. Golf is already an expensive sport, so why add to the price if you can find a quality smoke for less? I usually carry a five pack in my golf bag and the Arturo Fuente Double Chateau Sun Grown is perfect for the golf course. Enclosed in a cedar sleeve, the toasty Double Chateau with a 6.75 x 50 vitola offers a lingering, enjoyable smoke. 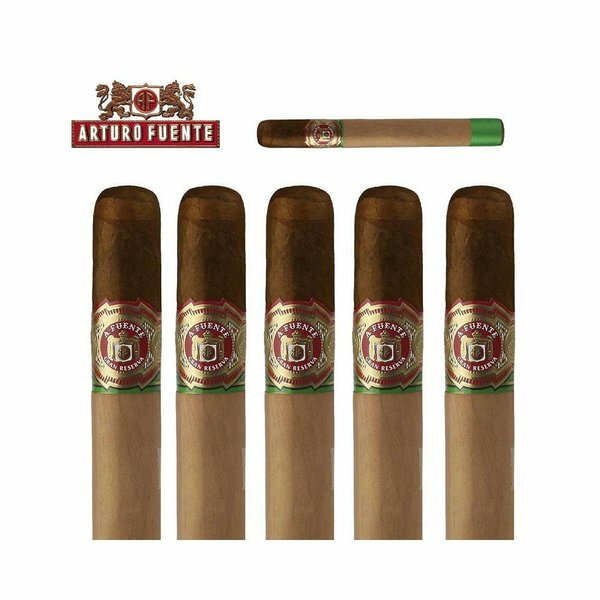 Arturo Fuente Double Chateau Sun Grown cigars offer the smoker a medium bodied experience with a sweet flavor enhanced by the Ecuadorian Sun Grown wrapper. This 90-120 minute smoke has a slightly firm draw and the white ash maintains steadily. These things are very important on the golf course. The pouch is also humidified and can be reused. 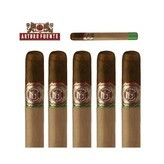 There is no better place to find these cigars online than at elcigarshop.com! A few last thoughts on golf and cigar etiquette. Never place your cigar on the green. Never ash on the course.